Where is ‘the Tidal Thames’? The Tidal Thames runs from Teddington lock in the west of London, to Gravesend and into the North Sea. It is home to more than 100 fish species, many of which are commercially and ecologically important. A number of these marine species use the Thames at different times of their life cycle – some as a nursery habitat when they are juveniles and a safe haven to spawn (lay eggs) when they mature and some as a pathway between freshwater habitats and the open seas – making this area absolutely vital to the success of UK fish species and their conservation. However, like other estuarine habitats, this region remains poorly studied and there is a need to further our understanding of the ways in which fish are using the river in order to protect vulnerable populations from continued threats such as poor water quality and development activities. Over the next few years, ZSL is embarking on an ambitious project to monitor the juvenile stages of fish using the Tidal Thames, working in partnership with Bournemouth University Global Environmental Solutions (BUG) and Colclough & Coates (SC2), with support from Tideway. These studies will provide a benchmark to measure the health of the fish populations over time and with expected improvements to water quality. Additionally we hope this study, which is one of the most comprehensive studies of juvenile fish movements in any estuary, will help develop our understanding of how fish use the Tidal Thames, both within and along the channel. We will be conducting mid-channel boat-based and foreshore netting surveys along the Tidal Thames over the next two years. We also work with members of the public and we train and work with citizen science volunteers to expand our data collection. If you want to get involved in some of this work then please sign up for details if you would like to get involved. When we started working on juvenile fish in the Tidal Thames we soon realised there was no easy guidebook to help us identify each species. As such, ZSL has produced a Juvenile Fish ID Guide, with partners from across the country. This ID Guide aims to help with the identification of larval and juvenile developmental stages of fish in the Tidal Thames, however, it can be more widely used to inform fish identification in estuarine waters around the UK. This document goes to show just how many amazing fish use the Tidal Thames at different stages in their life cycles. This is a live document so will continue to be updated as we collect our research in the Thames. ZSL is working to ensure that important life stages of fish species and their habitats are protected in the Tidal Thames. With this aim we have published a Guidance Document on Conservation of Tidal Thames fish through the Planning Process. This document provides a single point of reference to developers, planners, Biodiversity Officers and consultants on how fish should be considered when planning developments on or beside the river. The European smelt, Osmerus eperlanus, which smells curiously of cucumber, is a small predatory fish that inhabits cold-water estuaries. This species supported an important fishery in the Thames estuary and was culturally important through to the 19th century but subsequently suffered severe declines throughout the UK, and was lost from the Thames, along with all other fish species, when the river was declared ‘biologically dead’ in the 1950s. Smelt is considered a valuable indicator species due to its sensitivity to pollution, and it is a positive sign that the species has returned to 36 water courses in England including the Tidal Thames in the 20th Century. The smelt population in the Thames is currently believed to be one of the largest breeding populations of the species in the UK. From 2014 through to 2016, with support from the Heritage Lottery Fund, ZSL conducted a study of smelt in the Thames. Through the results of our surveys and using models that simulate how the river moves and behaves, in collaboration with HR Wallingford, it has been possible to narrow down the potential spawning location of smelt to a 600m stretch of the Thames in central London. 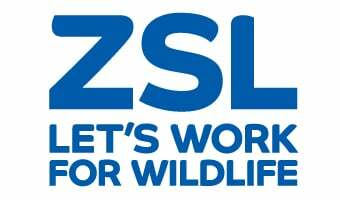 Between 2006 and 2013 ZSL completed long-term monitoring in collaboration with Tilbury Power Station and the Environment Agency. Regular weekly monitoring of fish species passing through the Tilbury Power Station has provided data enabling a better understanding of which fish species are regularly using the Thames Estuary. This study was also designed to allow detection of changes in fish abundance or species composition, including occurrence of any new or rare species. Ken Obbard manages ZSL’s work on fish conservation in the Tidal Thames. Joe Pecorelli coordinates participation by volunteer citizen scientists and researchers.